Afropop Worldwide | Best of The Beat on Afropop: Haiti 101, Part Two--Compas! Compas! Compas! 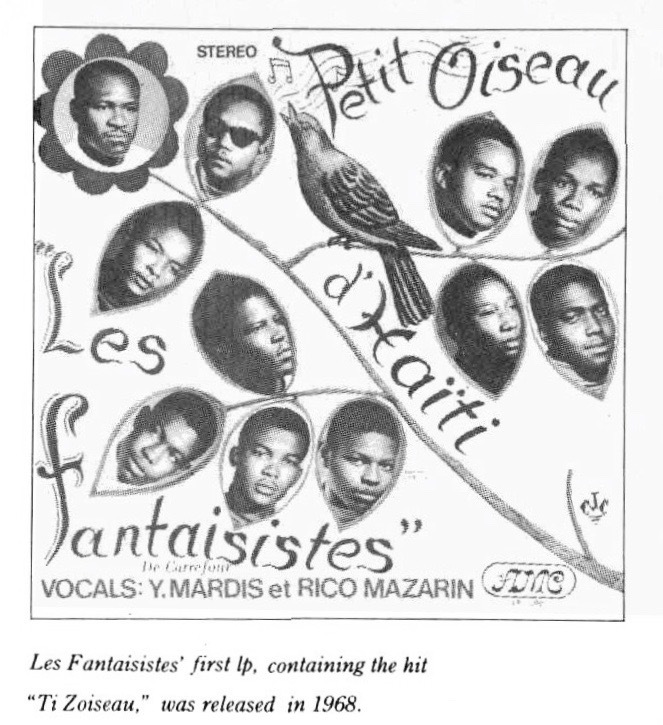 The second installment of The Beat’s in-depth introduction to the popular music of Haiti surveys the tidal wave of activity coming from a new generation of youth bands, called mini-jazz, in the 1960s through the early ‘80s, when the advent of zouk from the French Antilles caused compas to take yet another direction. 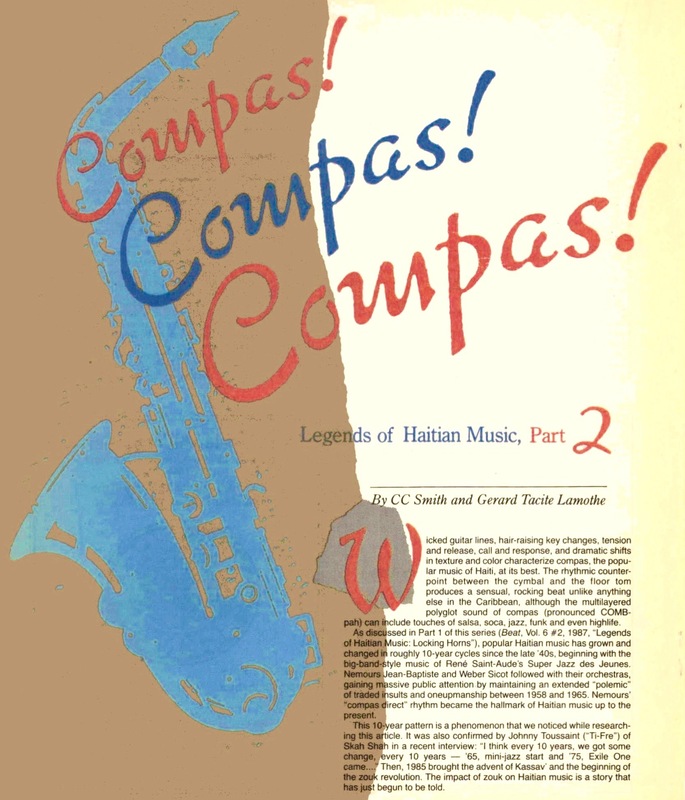 Co-author Gerard Tacite Lamothe and I made a second trip to Brooklyn in 1987 to research this story, meeting many of the musicians who were central to the creation of this new wave of compas. 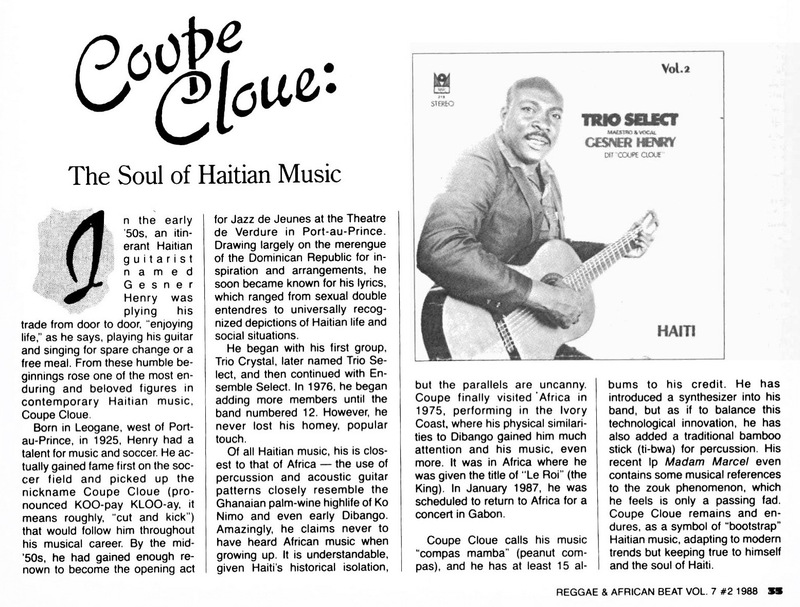 We interviewed members of Skah Shah, Tabou Combo, DP Express, Djet-X, Bossa Combo, System Band and more, producer Marc Duverger of Marc Records, and were very privileged to meet the great Coupe Cloue. 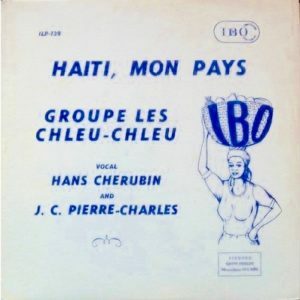 For recordings from this epoch in Haitian music, seek out these excellent compilations: Haiti Direct and Tanbou Toujou Lou. 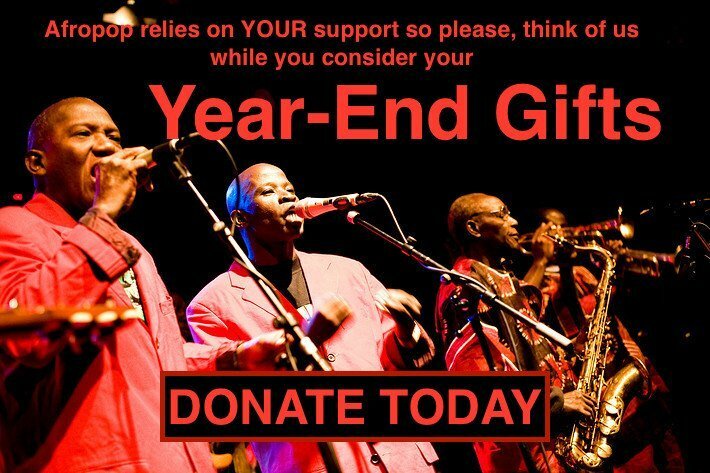 For an even more comprehensive look at the history of Haitian popular music, see Gage Averill’s website Konpa! Haitian Popular Music.